Sometimes while out shopping, more so in the thrift stores, we will find something that catches our eye. Being a seamstress, I do tend to look for flaws that might be in the item, such as broken zippers, missing buttons, tears and snags, ripped seams, etc. For the most part I can catch them and decide whether the price is worth what they are asking. If it is something I can repair, I will ask for a price adjustment. Then, there are those items that you miss the imperfections. Despite the reason why, it happens on occasion. 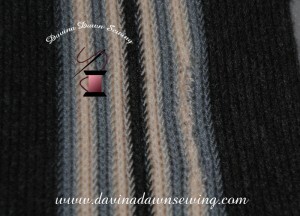 Today I repaired a scarf that I had picked up, which I believe was free, hence the lack of inspection. Overall the scarf seemed to be in perfect condition. I washed it, then as I was folding it I noticed a tear in the scarf that I knew I could repair. I really did not want to toss it due to how lovely the scarf actually was. I suppose I could have shortened it, but I thought better of that idea, and decided to spend the time repairing it. I am not a knitter nor do I crochet, although I have attempted it in the past. 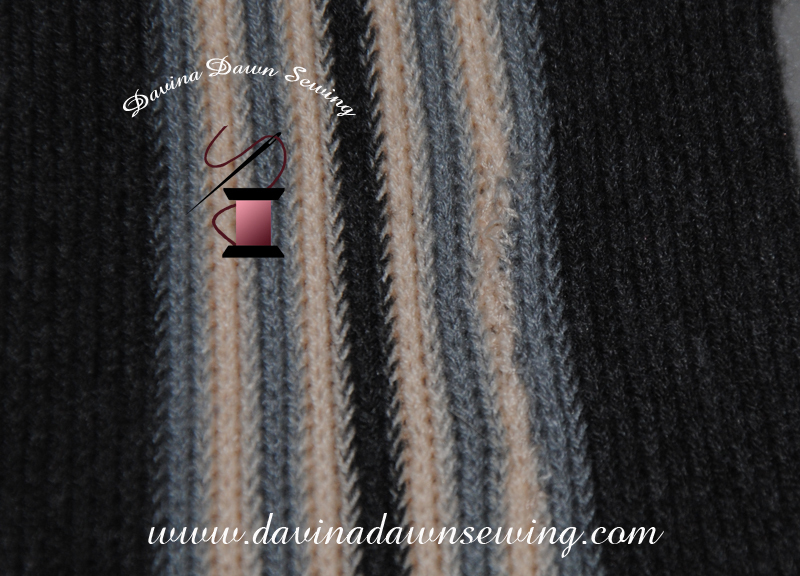 it is not a skill I am able to utilize while repairing these sweater type knits. After working on this sweater, I am thinking that maybe to learn how to use these alternate needle skills, might be advantageous. Below are the before and after photo’s of the work done. 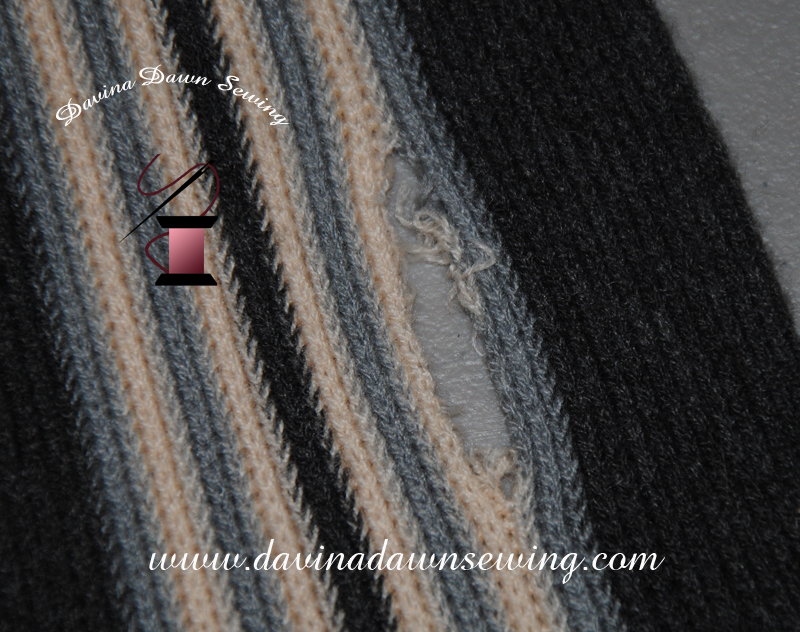 It is not “perfect” but the repair does what it needs to do: make an otherwise perfect sweater usable once again. As I shared, it is not perfect, but I do not expect that the scart will pull apart and further.